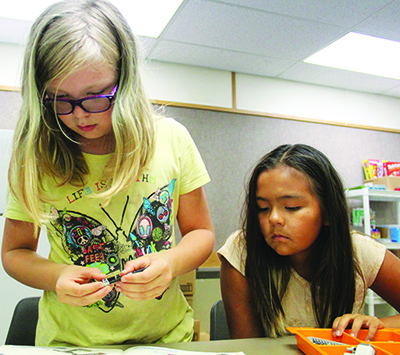 Tulalip Summer School students spent the week of August 7-11, creating robots at Tulalip Homework Support, located behind the Boys and Girls Club. 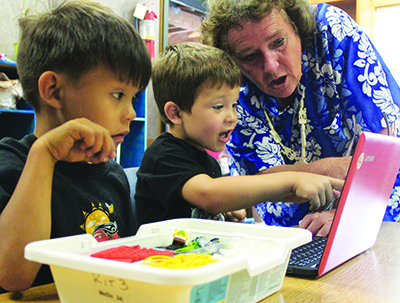 Students, kindergarten through twelfth grade, participated in STEM (Science, Technology, Engineering and Mathematics) Week in which they used Legos and laptops to build and program robots. 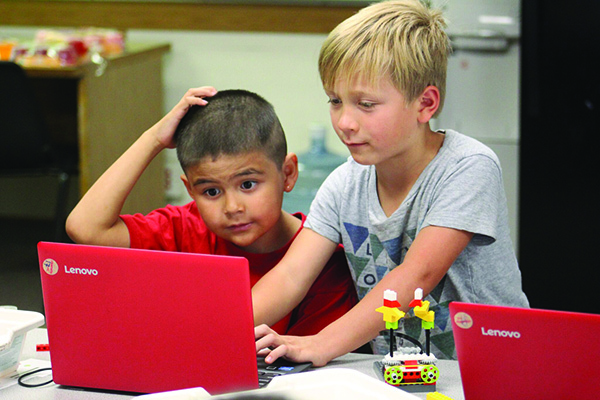 The Summer School partnered with Matthew and Kathy Collier, founders of the Robotics.How.com website, to bring the hands-on STEM experience to the Tulalip community, teaching the youth about coding through the use of Lego Mindstorms Robots. “We’ve been working with the Lego Mindstorms Robots for nineteen years,” Kathy explains. “We have a variety of Lego Robotics education products and software. The youngest students are using what is called WeDo Lego Robots and they are actually programming tiny little Lego critters to dance, sing, flap and do all kinds of things. We have a monkey that drums, we have a giant that lifts himself from sleeping, so through the week they do different projects. What’s wonderful about the program is they are actually coding. The same coding a software engineer does on a big scale, on a much smaller scale. Each one of those children is building a little software program. The third through fifth graders are using what’s called the NXT Lego Mindstorms Robots and sixth grade and above are using the EV3 Lego Mindstorms. The kids were instantly intrigued and listened both excitedly and attentively to instructions before assembling their robots. Throughout the week, the fourth through twelfth grade students work in teams of two to fine-tune their bots. Students, sixth grade and older, are utilizing a new technology to control their machines with their minds. 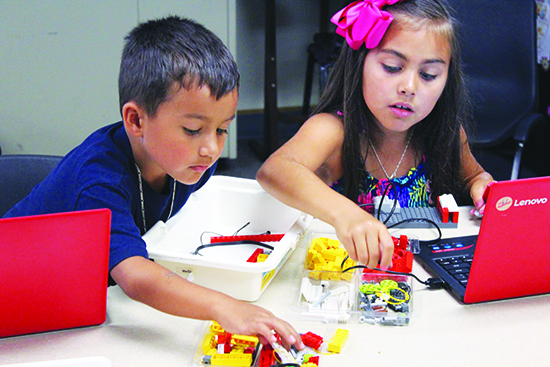 Without prior programing or the use of controllers, the students operate their Lego Robots by wearing a brainwave reader. 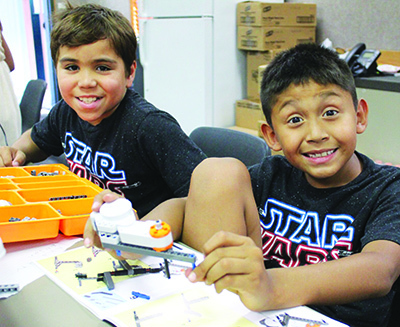 The younger students spend their week creating new robots and projects each day. 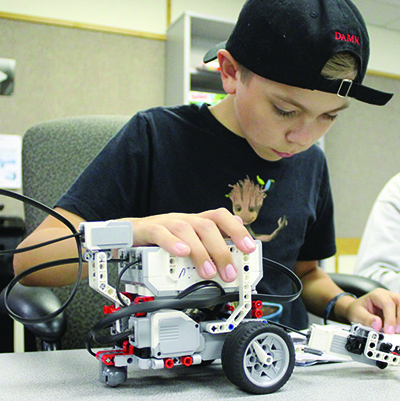 Due to the program’s popularity and interest, the Tulalip Education Department intends to start a Lego Robotics team, comprised of teens from the community, to construct robots to perform in local competitions. STEM Week provides a fun foundation for the children who wish to pursue a career in any of the four fields. 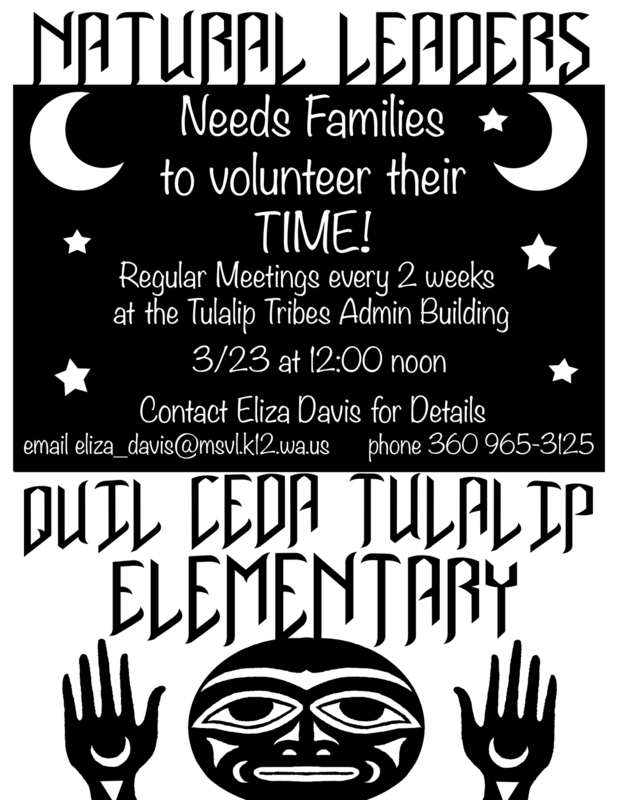 For additional details please contact the Tulalip Homework Support Program at (360) 716-4646. There is a saying at Totem Middle School, PRIDE in our Learning and POWER in our Actions. Normally a saying applied to only the students and faculty, it took a much larger scale on Thursday, March 17, as it was applied to a sense of community. 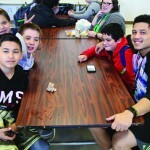 During the normal scheduled 6th, 7th, and 8th grade lunch times, Totem Middle School welcomed all family and community members of Native students to enjoy a complimentary lunch while visiting with the middle-schoolers. 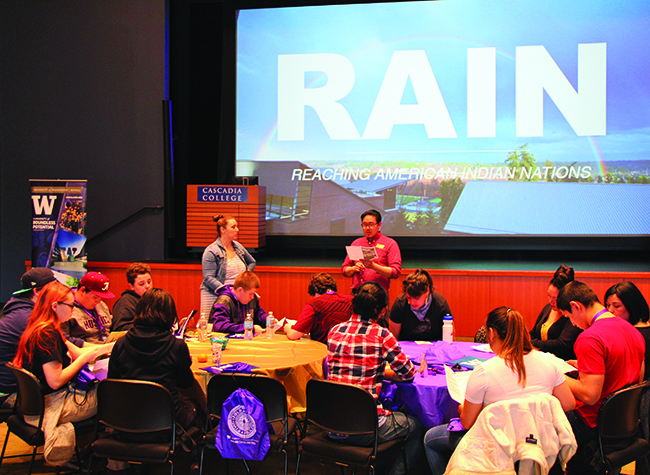 It provided a perfect opportunity to stay connected with students, faculty, and friends while building something much larger – student success and identity safety. Fostering a sense of community while also helping to bolster identity safety was particularly achieved by way of a simple open invite to have lunch. 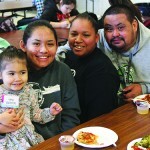 In order to get community members who Native students are comfortable with at their school and responsive to the invite, school officials went with the lunch hour. Understanding that a lot of folks are preoccupied in the late afternoon and evening hours, and not to pry into hours that may already be reserved, the time slot of 10:30 a.m. – 1:00 p.m. was chosen. 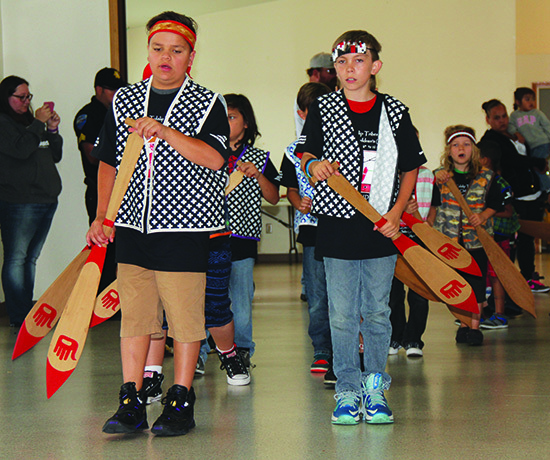 That’s 65 Tulalip community members made up of family, friends, staff, Board of Directors, and law enforcements officers who took time out of their busy day to connect with the students. 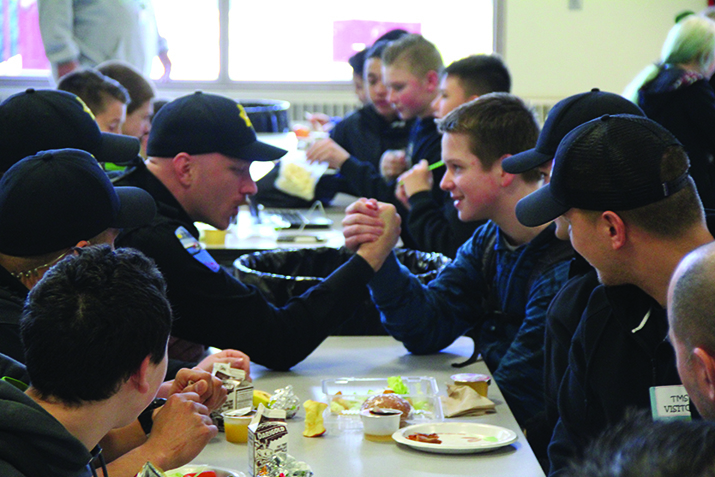 Spanning the lunch time, community members could be seen sharing a meal with the students, playing pool and foosball with them, simply chit-chatting, and even sharing in the craze that is March Madness. Students are allowed to use their Chomebooks for entertainment during their lunch. A few of the students managed to stream March Madness games and found themselves sharing their computer screens with several very attentive adults. It really does all add up. 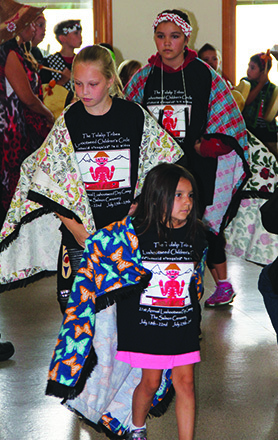 Whether openly acknowledged or not, the Native students of Totem saw how many of their family and community members took the opportunity to spend time with them. And isn’t that what kids need the most? To feel valued by the adults around them, to know that they are important and that they matter. It’s not the sound of our words, but the POWER in our Actions that determines this. We are all partners in education. From the teachers, secretaries, food preparers, maintenance workers, to family and friends we all have one common goal and that’s to see our students succeed. When we work together, every child can succeed in school. 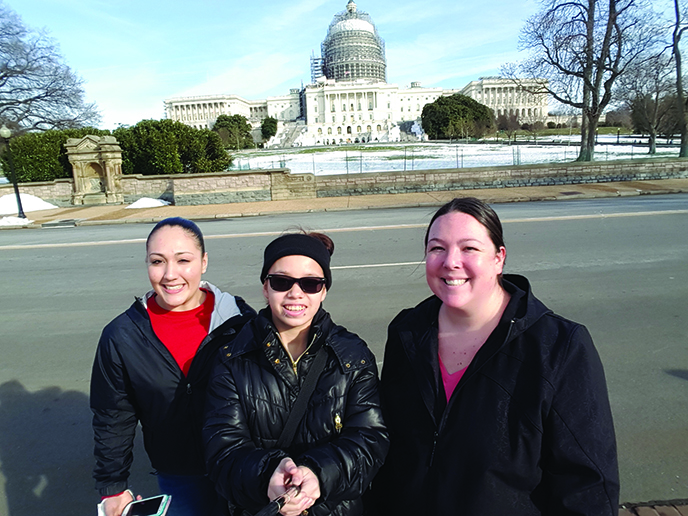 Girls Group gains leadership experience in D.C.
Tulalip Girls Group members Elizabeth Edelman and Priscilla Bumgarner, along with chaperone Sasha Smith, Family Haven Project Coordinator. The girls were chosen to participate in the trip based on overall participation and attendance in the Girls Group. 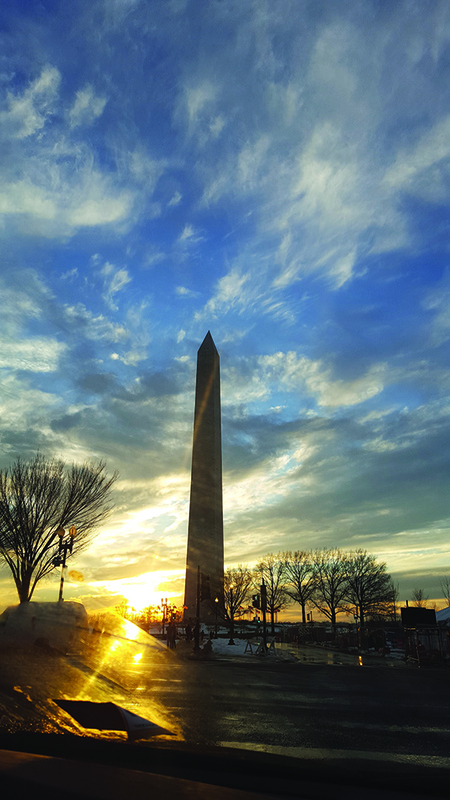 The Community Anti-Drug Coalitions of America (CADCA) held its 26th annual National Leadership Forum and Prevention Days at the Maryland Convention Center during February 1 – 4. CADCA is the national membership organization representing over 5,000 coalitions and affiliates working to make America’s community safe, healthy and drug-free. Count Tulalip among those communities represented by CADCA, as Tulalip tribal members Elizabeth Edelman and Priscilla Bumgarner attended this year’s leadership forum. Elizabeth and Priscilla, both 15 years old, were afforded the opportunity to attend thanks to their frequent participation in Girls Group. 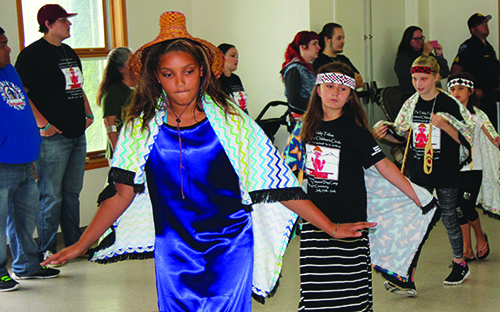 Girls Group, comprised of young Native women ages 14-17, is designed through Tulalip Family Haven and is located next to the Tulalip Boys & Girls Club. 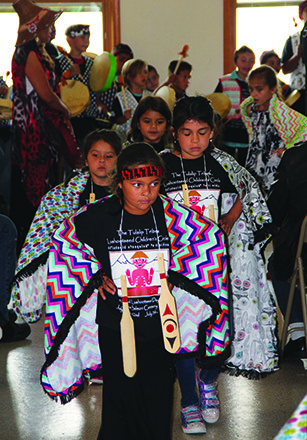 Girls Group aims to provide Native girls the support they need to become the most successful person they can be. 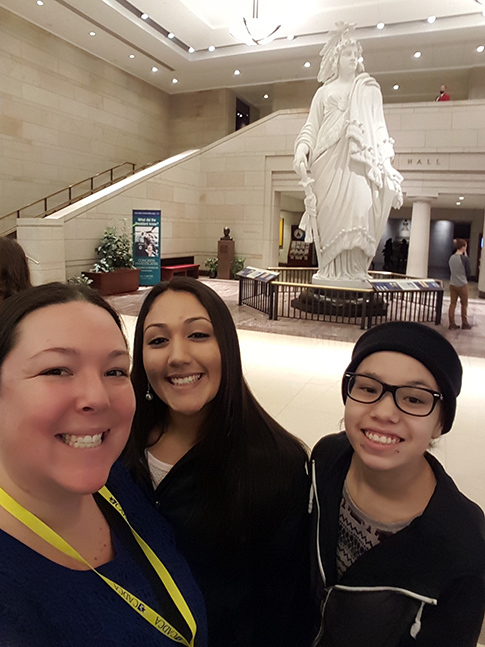 The young ladies spent four days in Maryland and Washington, D.C. learning about reducing drug and alcohol use in their community, how to be a positive and supporting leader, and gaining life experiences on the other side of the country. They received helpful information about different groups and communities who have been successful in reducing substance abuse. A project they got to participate in, and may even do here at home, was a sticker project. The youth, armed with message carrying stickers, went around to local liquor stores and convenient stores placing stickers on alcohol products, as a way to remind buyers that underage drinking and purchasing for minor is illegal. Another idea they participated in was being part of a high school student panel dubbed the Myth Busters. 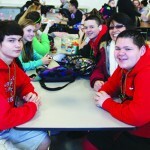 They held a Q & A session for middle school students who are in transition to high school. The middle schoolers were able to ask any and all questions they had about the high school experience, most of which were debunked as myths by the current high schoolers. Of all their experiences during the four days away from home, the most lasting was getting a guided tour of the capital, which included taking a three hour night tour of all the historical monuments. 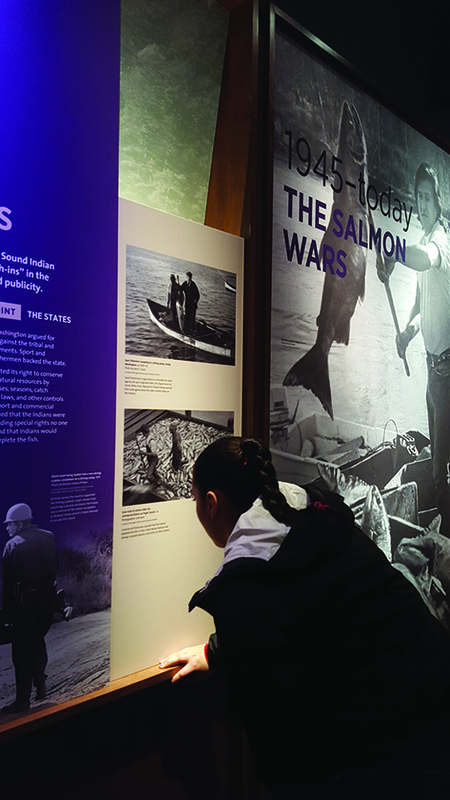 While touring the capital, the girls also visited the Museum of the American Indian in Washington D.C. 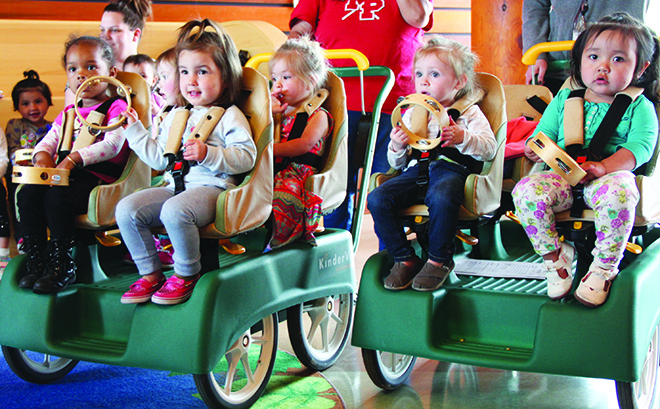 Girls Group meets every Monday, Tuesday, Wednesday and Thursday from 3:30p.m. – 6:30p.m. and is free to join. For more information on the Family Haven Girls Group or how to sign up, please contact project coordinator Sasha Smith at 360-716-4404. “When the schools and families have a mutual respect for one another and depend on one another as partners in education, the result is increased achievement.” That is a key line from Dr. Steve Constantino’s 101 Ways to Create Real Family Engagement. 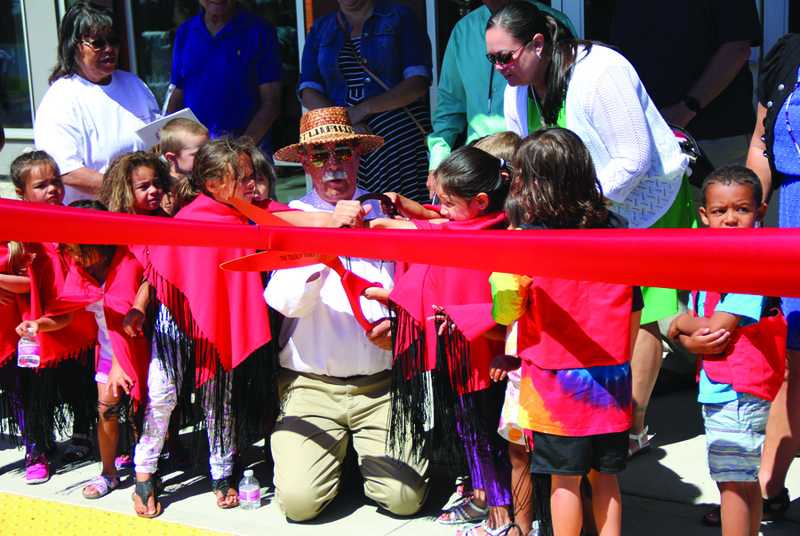 For Tulalip, getting parents and families engaged in their students’ academic well-being remains a lofty goal. 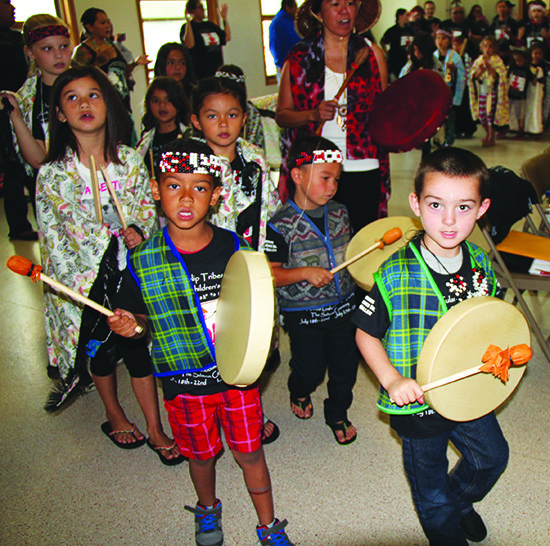 Local schools and many tribal service departments have proclaimed their strategies for family engagement and getting families vested in our students’ academic success, but most fall short of their proclamations. In order to change this, we must help to build a new cultural foundation and create relationships that motivate family involvement and ultimately create family engagement. Research has constantly shown students’ success to be highly correlated with the level of their parent engagement. When parents are involved, students achieve more, regardless of socio-economic status, ethnic/racial background, or the parents’ education level. 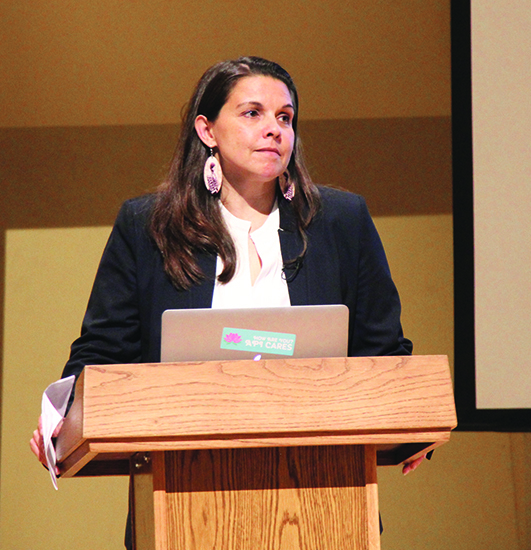 Hoping to spark the must needed change for the sake of our students, Tulalip tribal member Eliza Davis, who works as a Native Liaison for the Marysville School District, is creating a parent engagement project that piggybacks off the Natural Leaders initiative. 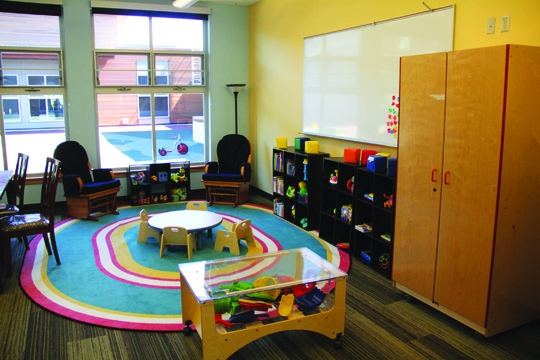 It is Eliza’s mission to help all our children succeed in school by providing skill building opportunities and in-class volunteer hours for parents to help their kids succeed. 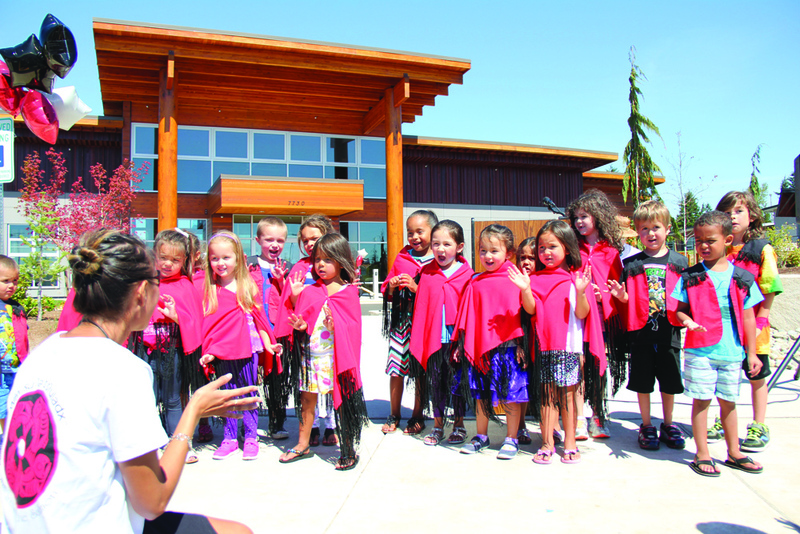 The Tulalip Natural Leader project challenges parents to take on a leadership role. They will build relationships with families in the community, identify what helps these families be successful with education and then implement these ideas. A driving focus is collaborative community organizing where parents are equal partners sharing a common goal of children achieving success in education. 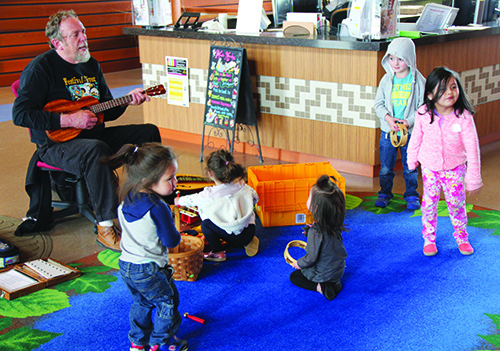 According to the Washington Alliance for Better Schools, Natural Leaders are warm, caring social persons who serve as multicultural bridges between students, teachers, communities and schools. In our community we hear so much about education, the need for a cultural presence in our school, and advocating for our youth, especially around General Council season. Here is the perfect opportunity to show your support for our youth, our educators and our community by becoming a part of the Natural Leaders initiative. 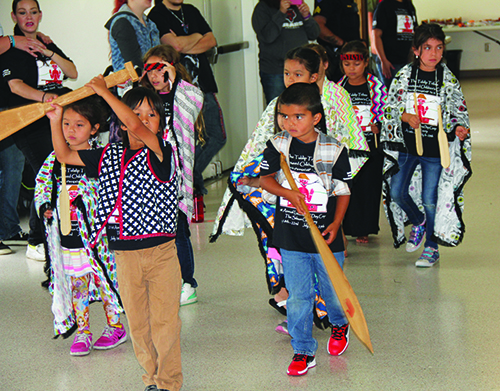 Lack of parental supervision or a plain absence of parental engagement in their children’s day to day life is the most harmful demographic trend of this Native generation. It is the leading cause of declining child well-being in our society. It is also the engine driving our most urgent social problems, from crime to adolescent pregnancy to substance abuse to perpetuating the impoverish mindset that clutches so many like a mental vice grip. It is very powerful when adults engage in education themselves because actions speak louder than words. Children view adults as role models and aspire to be like them. 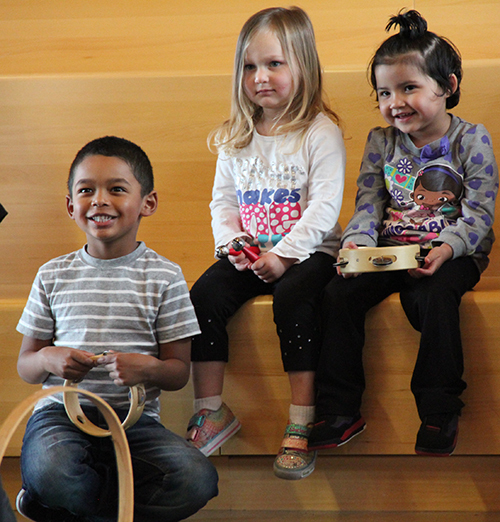 Parents and Tulalip community members who answer the call to become Natural Leaders will experience personal growth that comes with giving of oneself for the better of our younger generation. Personal growth and transformation is an important outcome that leads to stronger communities and academic success for children. 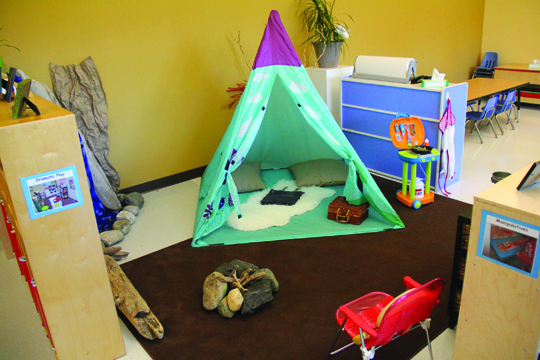 “Parent and community engagement is an integral part of a successful school. 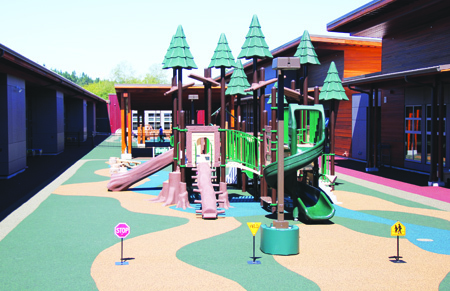 In order to achieve academic success, parents and staff members need a strong partnership,” states Cory Taylor, Quil Ceda Tulalip Elementary Principal. “Thankfully the Natural Leaders program is designed to accomplish this objective. 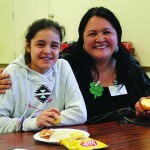 One particular way the Natural Leaders program has benefited our school is through the volunteer program. Parents have assisted in the following areas: after school events, classroom projects, perfect attendance awards, maintaining the school calendar, and individual academic student support. 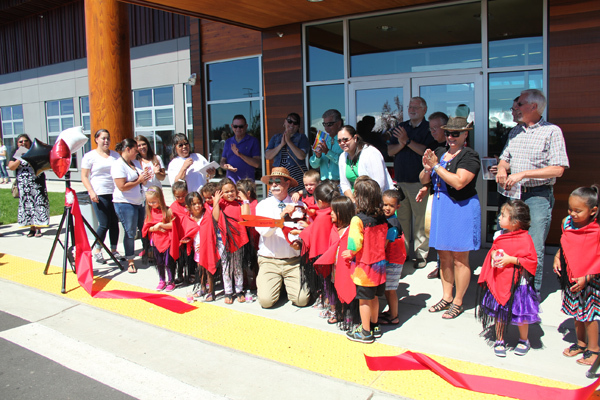 Whether you are a parent, grandparent, uncle, aunt, or concerned community member, please consider becoming a part of Tulalip’s Natural Leader initiative. 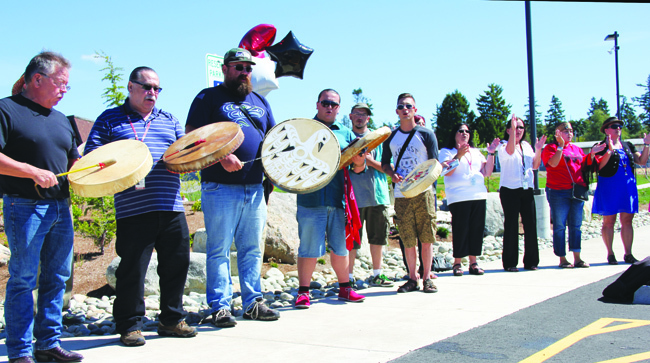 The next Natural Leaders group meeting will be Wednesday, March 23, at noon in room 162 of the Tulalip Administration building. Share what the mission of the Natural Leaders group is and help our community to recruit able and willing employees, community members, parents and guardians. Become a part of the movement, be the ripple effect and support our youth. 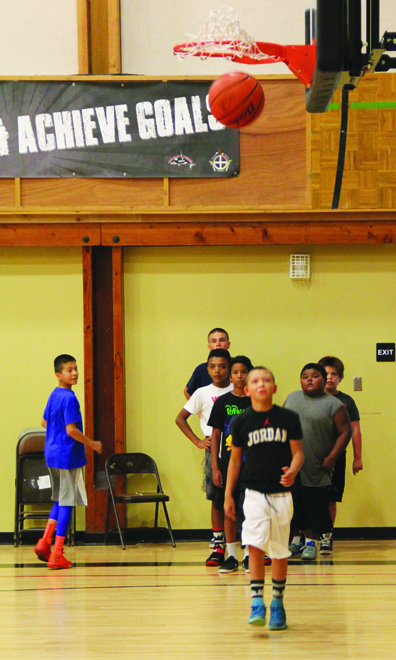 During the week of July 27-31, the sports-centric youth of Tulalip took part in a week long basketball camp to learn, practice, and perfect their basketball skills at the Don Hatch Youth Center. With the on-court assistance of Deyamonta Diaz and Shawn Sanchey, who are both Youth Services Activity Specialists, basketball camp participants were split into two groups; one earlier session for elementary and middle school aged boys and one later session for high school aged boys. 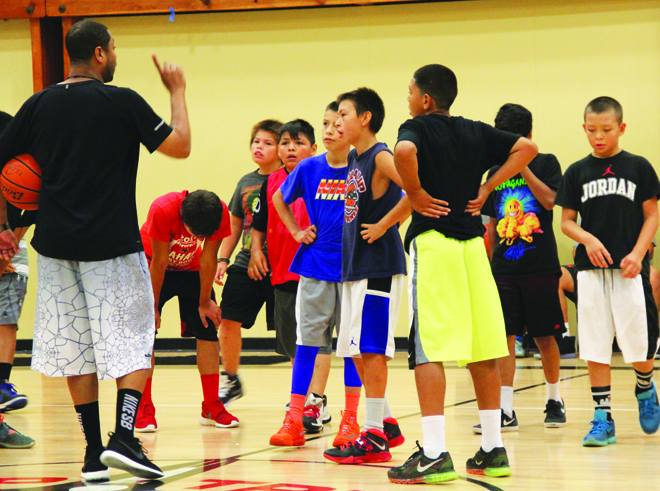 Fred Brown, Jr. who played college basketball at the University of Iowa and presently works for Seattle Basketball Services, Washington State’s premier NCAA compliant scouting service led the early session of youngsters. According to his work profile, Brown specializes in events coordinating, recruiting, scouting, tutoring and player development work for youth, high school, college and professional athletes. He is dedicated to helping student athletes learn the importance of having an exceptional work ethic, good grades and a positive attitude to be successful in today’s society. Brown believes, “Opportunities do not go away, they go to someone else.” Following with this mantra, Brown emphasized hard work and the highest quality of competition during each day of camp. 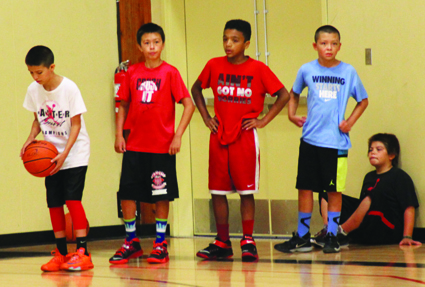 Tulalip youth responded in kind by giving their fullest effort during each and every basketball drill. The few instances when the kids would not respect the rules of his sessions, Brown was sure to get their attention by blowing his whistle and having them run lines. 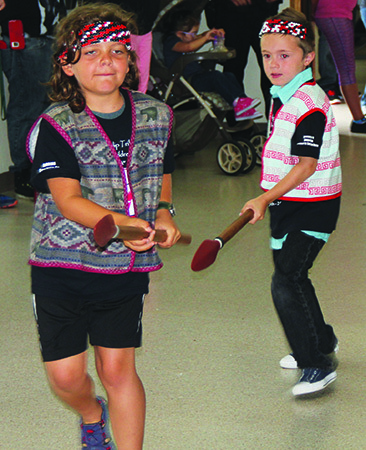 This means of discipline not only got the kids attention, but also helped to condition them and build up their stamina. The later session, made up of high school participants, was led by Sanjey Noriega and Tisen Fryberg. Noriega was a college basketball player at University of Alaska-Fairbanks and went on to play professional basketball in Europe and Latin America. 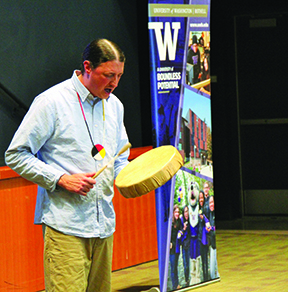 Fryberg, a Tulalip tribal member, currently plays college basketball. During both sessions, the young ballers with hoop dreams were able to win prizes, such as shooting sleeves or Strideline basketball socks, in various skill building drills. There was a fair share of solo drills, but for the most part the sessions were composed of team exercises that showcased the fact that basketball is indeed a team sport. Everyone who participated in the basketball camp came away a better basketball player and a better teammate to their brothers of the hardwood. They grew and learned about more than just basketball, as each session instructor would share their personal stories overcoming obstacles to make it to the next level. While they practiced ball handling, dribbling, and shooting, they also learned about self-esteem, teamwork, and the value of hard work.